One cannot ask for better, more professional, prompter service than the service from Summer. Whether you are placing a large or relatively small order with her company, she will treat that order with utmost care. She will supply you with samples and suggestions; Summer truly wants you to be happy with the products! Her communication throughout the transaction is superior to most companies we have worked with. We have received quality products and a quality servicing of our account-what more can a company ask for. It is without any hesitation that we will be referring business her way! 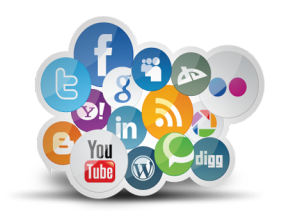 Fast Lane Promotions & Marketing, Inc. is now offering Social Media Marketing services to our valued customers. Creating and managing your business’s social networks can often be time consuming and a hassle. Sit back and let the social media professional team at Fast Lane Promotions grow and promote your business. Fast Lane Promotions Social Media Marketing will provide your business growth with new customers, spreading the word about your products and services, brand recognition, customer loyalty and advertising your business, products or services. At Fast Lane Promotions, we are dedicated to not only make your business successful, but to make it thrive. Every business has its own story. Our team is here to share that story in a way that attracts clients and encourages prospects to take action in learning more and investing in your business. We are committed to creating and expanding your social networks to learn about your customers and improve their lives with your business, products or services. Please call or email us for Social Media Package pricing!